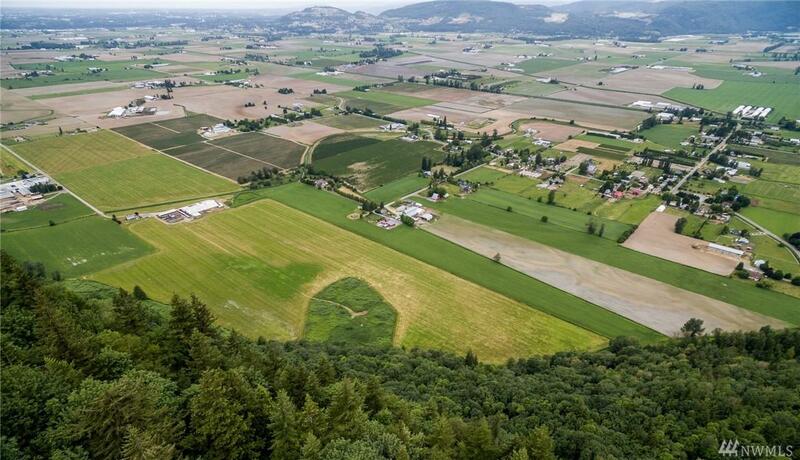 Beautiful very private 198 ACRES with recorded water rights! 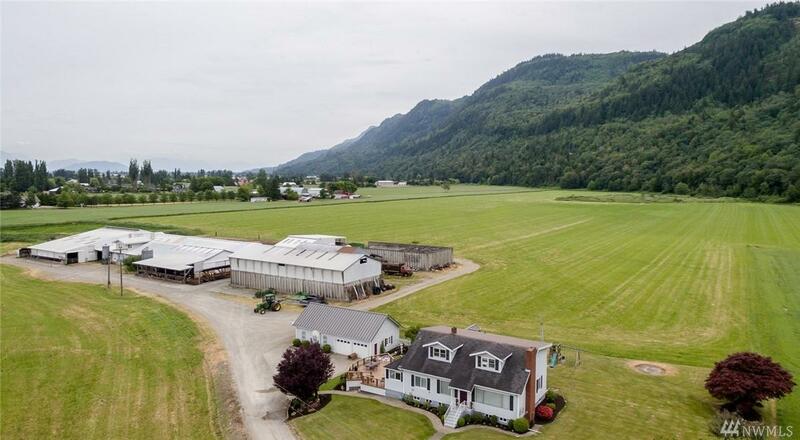 Charming country home, irrigated crop land w/good soils for a production of a variety of crops, stall barns, equipment storage, bunker, other out buildings. Well kept home boasts tons of room & storage w/fully finished basement, detached garage/shop wired for welder. Surveyed in the last 5 yrs. 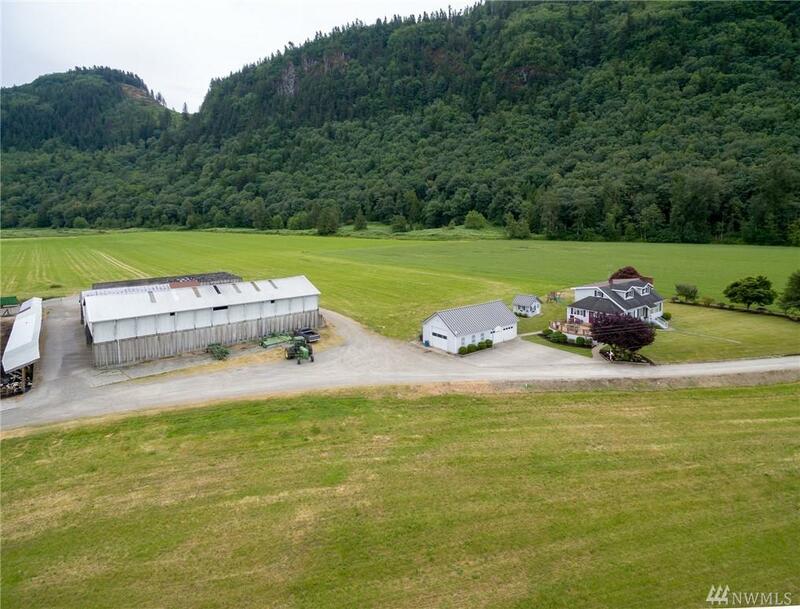 Part of acreage runs up slope of Vedder Mountain & along hillside. 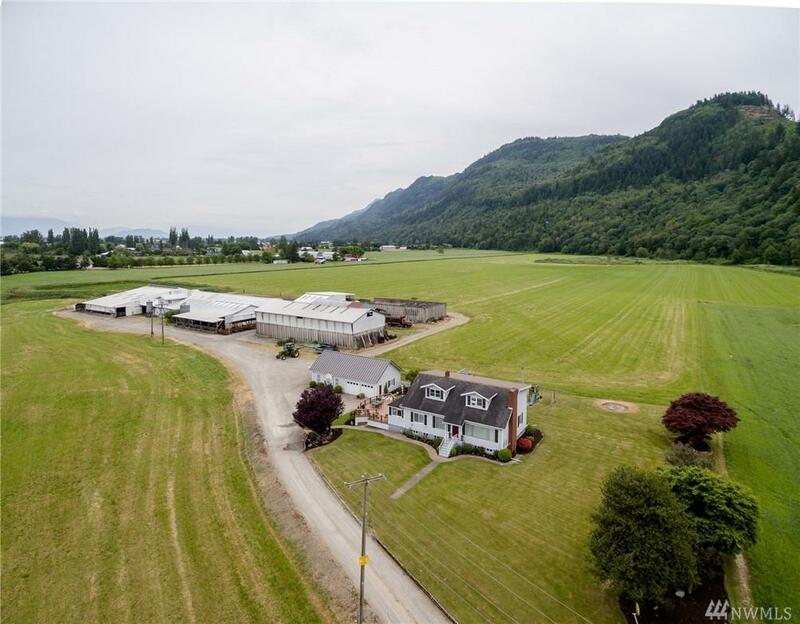 Approximate 85 acres farm land & remaining in timber and home w/buildings.